Of all the things that the festival of lights has to offer, what remain are the wonderful memories we make. While some of them are of bursting fire crackers and lovely ethnic exhibits, there are of course plenty of mouth-watering mithais and tasty luncheons. It’s all about lights, revelry, and the special significance that food holds in our culture of celebration. 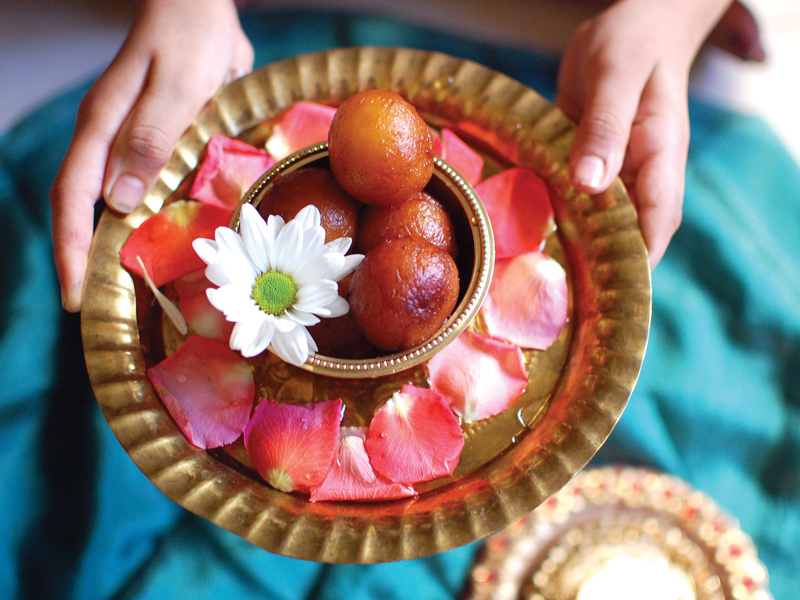 Sharing sweets – either homemade or from the bazaar – with family, neighbours and acquaintances, is undoubtedly one of the highlights of this festival. They literally fill our dining tables, side tables, fridges, and stomachs! Concentrate on the food. 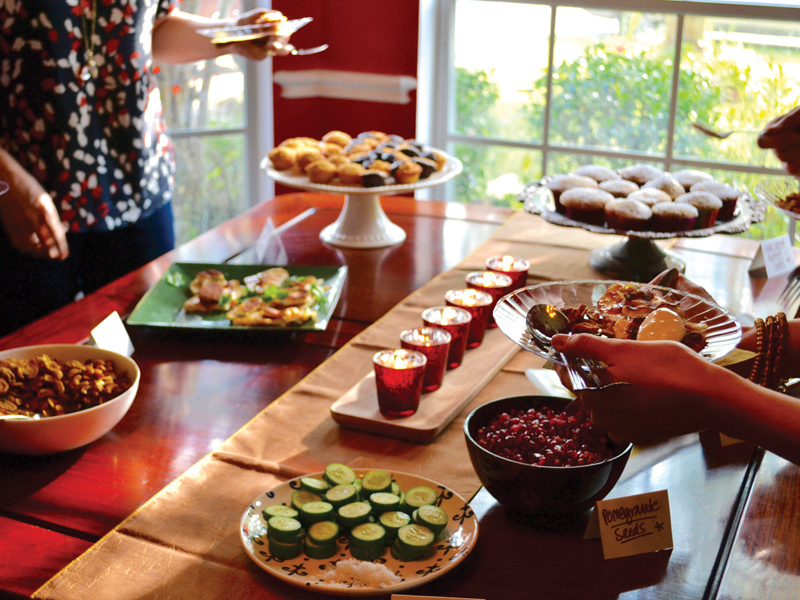 When at a party or visiting others’ homes, concentrate on the food that is being served on your plate. The best thing to do is to avoid being consumed in the banter at that moment. This way, you can easily dodge a minimum of 100 calories by avoiding that extra helping of butter-soaked curries. Also, if you don’t have the stomach to eat everything that is served while visiting a relative, politely say ‘no’ by respecting them and your body, too. Those are another 100 un-enjoyable calories. The extra Gulab Jamuns or Samosas which may be too difficult to refuse (especially from the insistent elders or other loved ones) can be packed. They can be consumed later, at an appropriate time. Unnecessary loading of your tummy can be avoided by following this simple measure. This is at least 200 calories saved. Clear the snacks immediately. After your guests leave home, clear the plates immediately and pack away the snacks. This way, they will remain fresh for a longer period and prevent you from nibbling on them after you’ve enjoyed your portion with the guests. There goes another 100 calories or so. Munching on snacks between meals is a recipe for extra kilos. Avoid having them immediately after lunch, particularly in between meals during free time. This will also help prevent indigestion and flatulence. Sharing is caring. This motto may not have worked with your siblings, but it will surely work in your favour for staying away from unwanted calories. 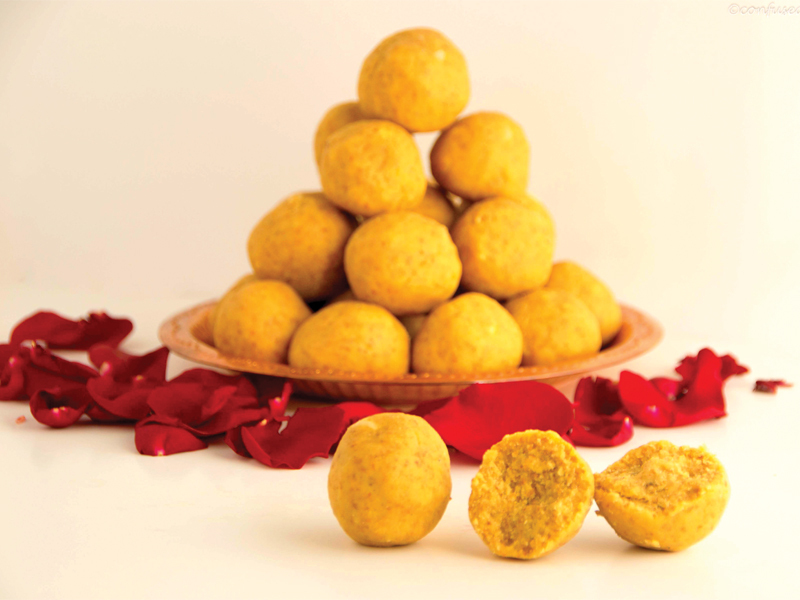 If you have a big portion of sweets, say a big ladoo, break it into small chunks and share it with others. You are bound to make your relations happier and also prevent your outfits from getting tighter. So you can divide the calories, earn double the warmth, enjoy the sweetmeats, and ingest fewer calories –not a bad bargain at all! Share those extra mithai dabbas with those less fortunate. Donate the sweets you think are really not what you want to eat. You’ll be surprised to see that many kids would accept them enthusiastically, and sharing with them will double your joy. You’ll be lighting up their Diwali and in turn will experience the joy of giving. You might also save you and your family an extra 1,000 calories! Beware of those “No Sugar” products. Please do not be fooled by products that say “no sugar”. As this sign is considered by some as a signal to eat without limit, you should be aware that although these foods usually contain artificial sweeteners, their fat content is not reduced. It is better to munch on home-cooked food. The quality of oil and other ingredients that are used in these foods is much better than in store-bought, processed items. As the foods we consume from outside are made in bulk, there are high quantities of oil/ghee/dalda in them. This translates into unnecessary caloric intake. In addition to the above, keeping your body hydrated and maintaining adequate sleep are essential to rejuvenate the body and balance your hormones. These functions support the body’s fat burning process.